Hi Peeps! It's Traci, from Dragonflies in First. 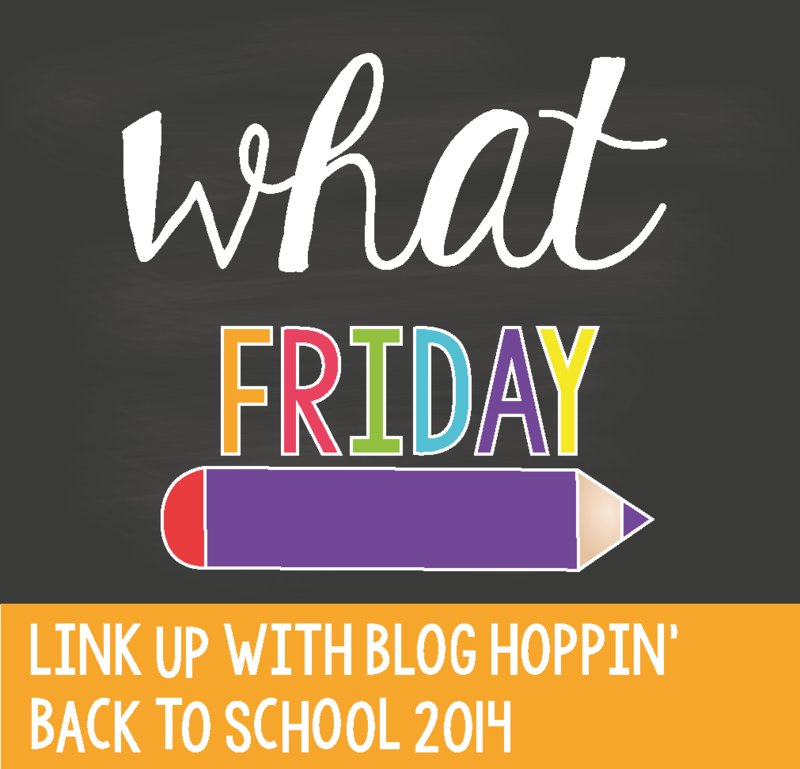 Today we are checking off the last component to our Meet the Teacher Back to School Linky week. Today our focus is on WHAT we like to teach. Is it hard for you to narrow that down? I thought this was going to be an easy post for me - but I really cannot easily name just a couple things. If I had to pick, I'd choose ELA over other content areas. I am passionate about teaching literacy. Teaching kiddos to read is definitely the reason why I am obsessed with teaching first grade. I also LOVE the challenge of teaching writing. I teach my kiddos how to create a writing plan for the various forms of writing and we use these plans consistently all year. 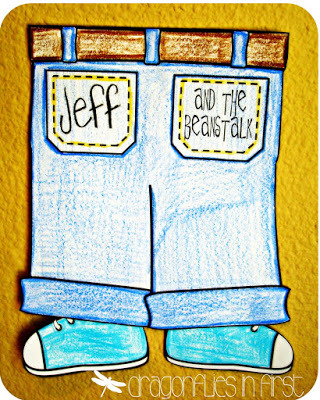 This helps the kids focus on the task at hand - writing fabulous paragraphs! Most weeks, we start with a lesson on Monday, write our plan on Tuesday, edit on Wednesday, do a final draft on Thursday and usually create a craft to go with it on Friday. Since the writing routine is usually consistent, the lessons can focus on the specific task and/or objective. 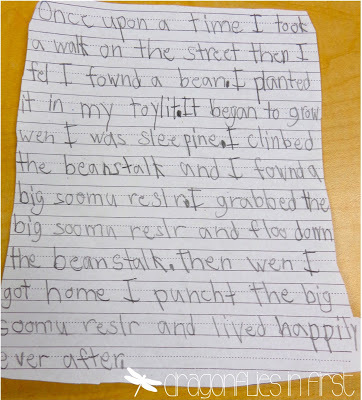 Click to check out "Me and the Beanstalk". I also love using readers for all sorts of lessons. Often I use our science and social studies readers during guided reading - it's an awesome way to address various ELA skills AND the science or social studies standards covered in the reader all that the same time. 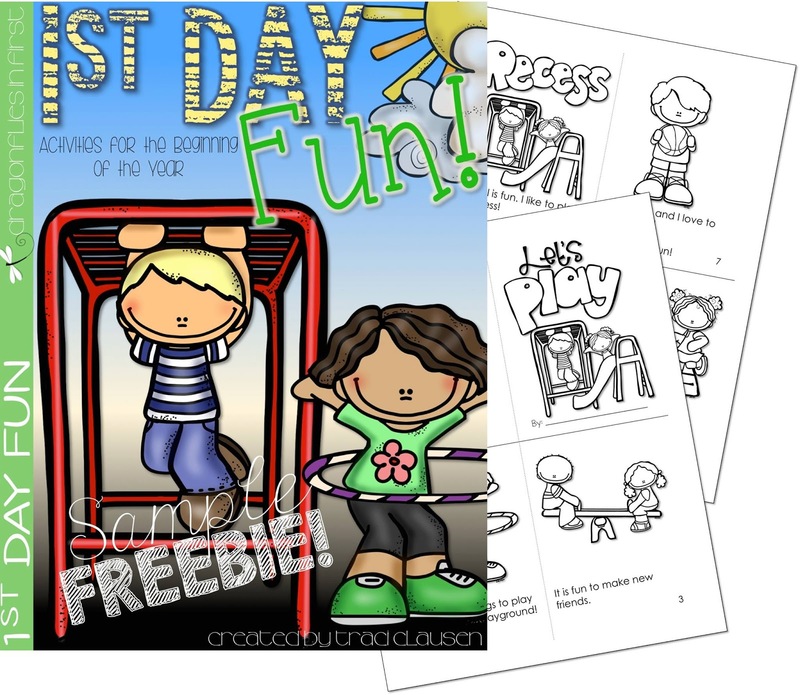 You can grab this little FREEBIE reader from my 1st Day Fun pack on my FAN FREEBIES tab on my FB page. One thing I am looking forward to adding to my routine is sharing. I have been struggling to find a way to incorporate it without it getting to crazy. When our number of students jumped to 30, that was the first thing I had to do away with. I think these Sharing Pages by Fluttering Through First Grade will add the perfect amount of organization to this speaking practice opportunity. What's your favorite thing to teach? What resources do you enjoy using? Link up below or leave a comment! 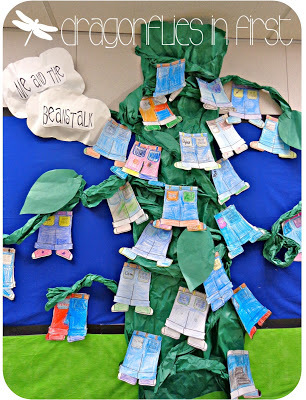 Your bean stalk is too cute! Can you share more about your writing plan? What forms of writing do you do and when? Or can you point me in the direction of a blog post if you've already blogged about it? (I just found your blog and started following) One craftivity a week seems like a lot to me! Not for the kiddos - I'm sure they love it, but for you to plan, prep, and display! Hi Michelle... First I don't ALWAYS do a craft and most aren't huge projects. Search writing on my blog for a whole lot of posts on writing! Also I have a lot of writing resources in my store with very clear, easy and effective writing lessons. I love the bean stalk!!! Thank you for sharing.